What we can learn from war? 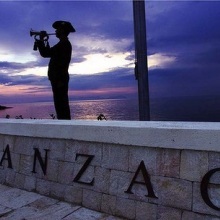 Like Memorial Day, ANZAC Day calls to mind more than just that event in WW1. It was created to remember all who have sacrificed their lives in war. An ANZAC Day ceremony often includes hymns, prayer, the laying of wreaths, the Last Post (a bugle call that is sounded at every soldier's funeral) and a period of silence. I am reminded of the historical origins of this day whenever I drive down a street called Anzac Avenue, which currently shows a painting of the landing of the boats at dawn at Gallipoli. The campaign was a failure, with over 10,000 Australian lives lost, but because of the strength and courage shown through the campaign, Australians found out what they made of and drew strength from it. The battle at Gallipoli has much meaning and has become part of the Australian identity. It is said that every nation must go through a test that will either strengthen or dishearten those who come afterwards. God Himself experienced the pain and heartache of war and battle before anyone else during the rebellion of Satan (Revelation 12:7-9). He can empathise with the sadness involved. When the nation of Israel chose to live (and suffer) by the word of God, at certain times and places, God gave extraordinary strength to those who defended His chosen nation. King David could kill a bear and a lion with his bare hands (1 Samuel 17:34). Samson demolished the pagan temple of Dagon with God-given strength (Judges 16:23-31). David's mighty men fought bravely in any ventures (1 Chronicles 11). These stories, which deal with war, are recounted in the Bible for our benefit. We learn how God can provide for the defence of those He loves. We can also draw lessons from the unbelievable courage shown by soldiers of more recent times. However, our cause, when we commit our lives to God's way of life, is the defence of a spiritual nation, God's future Kingdom (John 18:36). 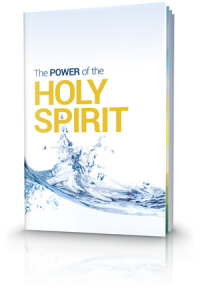 With Jesus Christ's crucifixion and resurrection at Passover (which we have just recently commemorated), and the gift of God's Holy Spirit on the Day of Pentecost in 31 A.D., God began to work with a new nation, no longer a physical nation, but a spiritual nation of Israel, drawn from many ethnic backgrounds, to become the Church of God. 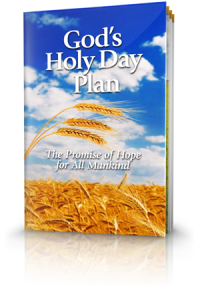 In the course of time, everyone will have a chance to understand God's ultimate eternal plan for humankind. We are made very aware through God's word that there is an even bigger picture, a more difficult war with the spiritual realm. 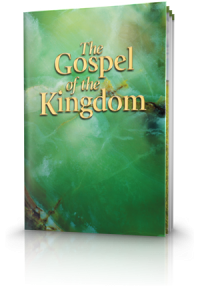 Our personal focus should be putting on the spiritual armour of God (Ephesians 6:13-17). In one incident during Jesus Christ's ministry a centurion put on the shield of faith and asked Jesus to heal his servant (Matthew 8:5-13). Christ marveled and praised the centurion for applying his understanding of authority, learned through his military experience, to have faith in Jesus's authority and power to heal. When we consider the soldiers that have lost their lives, it is important to remember that even though we fight in different theatres of war, ours being spiritual, we can still admire the courage, self-discipline, strength, and sacrifice it took to go into battle. It should stir in us the diligence to prepare ourselves for the spiritual battles we have to face in this life as we strive to stay faithful to God.